Gardening is something that doesn’t come naturally to me so it took me three attempts just to get a herb garden to survive on my patio. 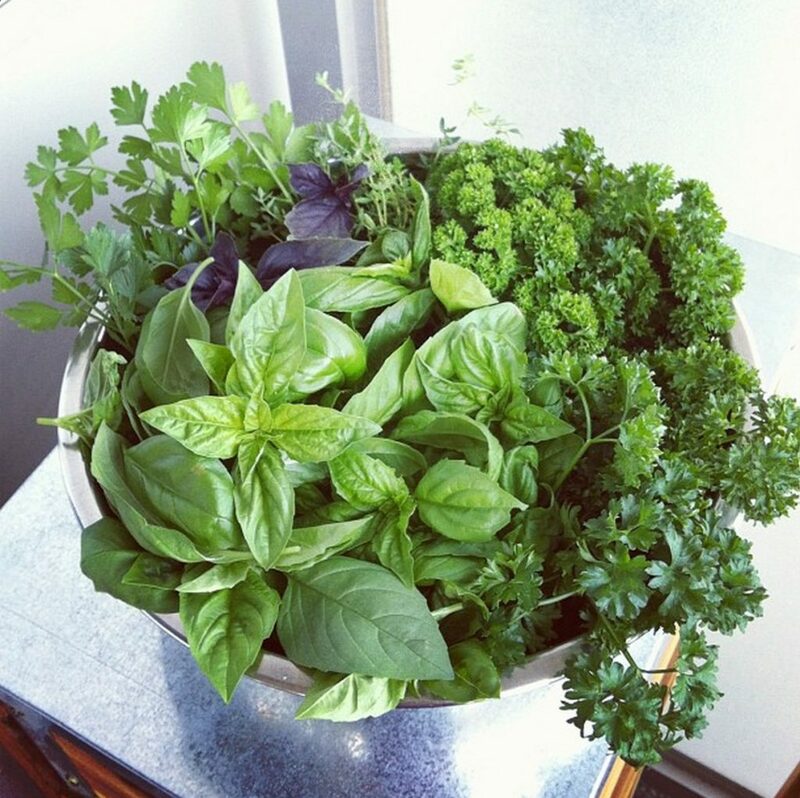 I plant a herb garden on my balcony every year and love going out and picking up fresh herbs when I’m preparing meals in my kitchen. It ends up being a lot cheaper than buying fresh herbs throughout the summer. Plus, gardening can be quite therapeutic. I wish I had known about FoodShare’s gardening workshops when I first started out because it would have saved me a lot of time and frustration. These workshops teach beginner gardeners how to plan and set up their gardens (because there is a lot more to gardening besides potting a plant and watering it – which I learned the hard way). I had the pleasure of attending a FoodShare workshop on container gardening. 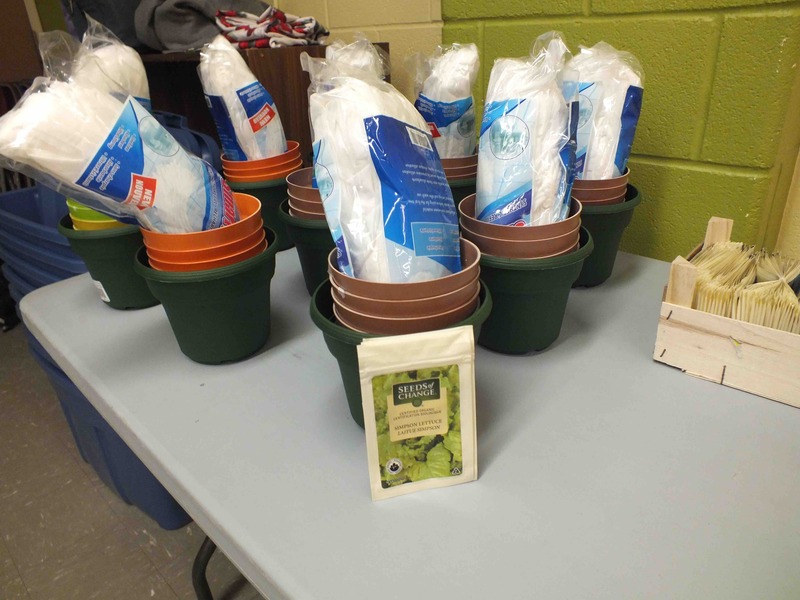 For $60, participants received dinner, a presentation on container gardening and a hands-on activity where they each made their own self-watering container to take home (complete with potting soil and compost). Self-watering containers allow you to fill up a water reservoir that is indirectly connected with the soil so it can take in as much (or little) water as it needs. This makes it nearly impossible to under or overwater your plants. This is especially useful for people who aren’t able to water their plants on a regular basis (i.e. 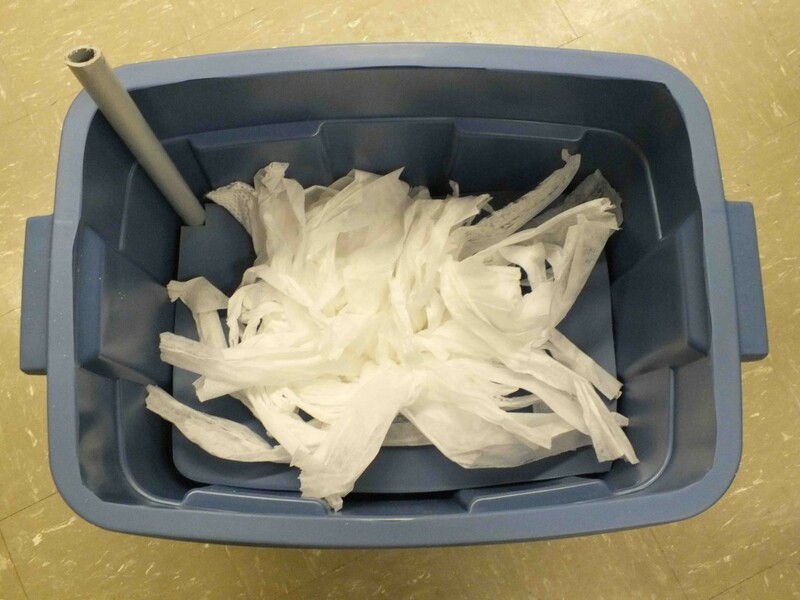 people who have mobility issues, travel a lot or have a tendency to forget). The wonderful team of Orlando and Jeanny assisted participants as they constructed their own self-watering container using some common building materials that you can find at any hardware store. Building anything from scratch requires you to be a little handy and have access to the proper tools. 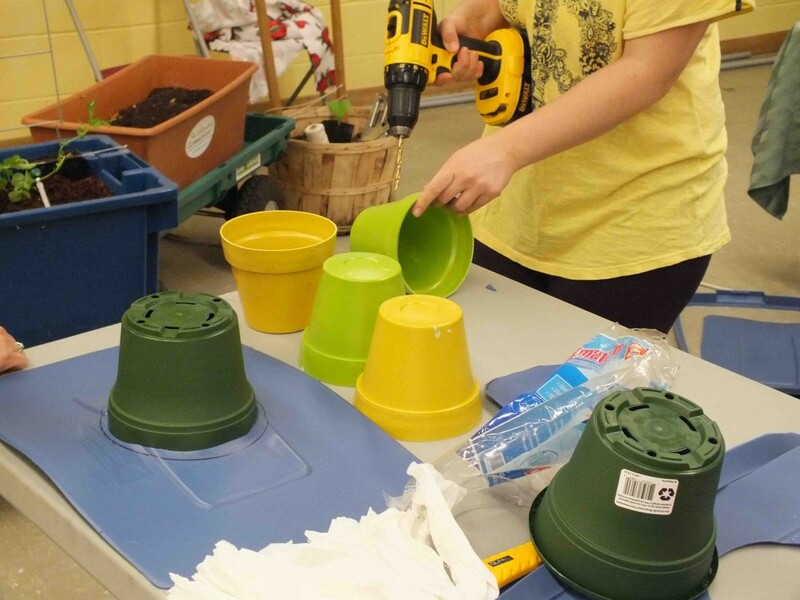 Fortunately for us, they provided all the materials we would need – from plant seeds to power tools. There were drills and power saws being used that evening. I was quite relieved that Orlando and Jeanny were around to lend a helping hand. Making your own self-watering container is a lot of work! 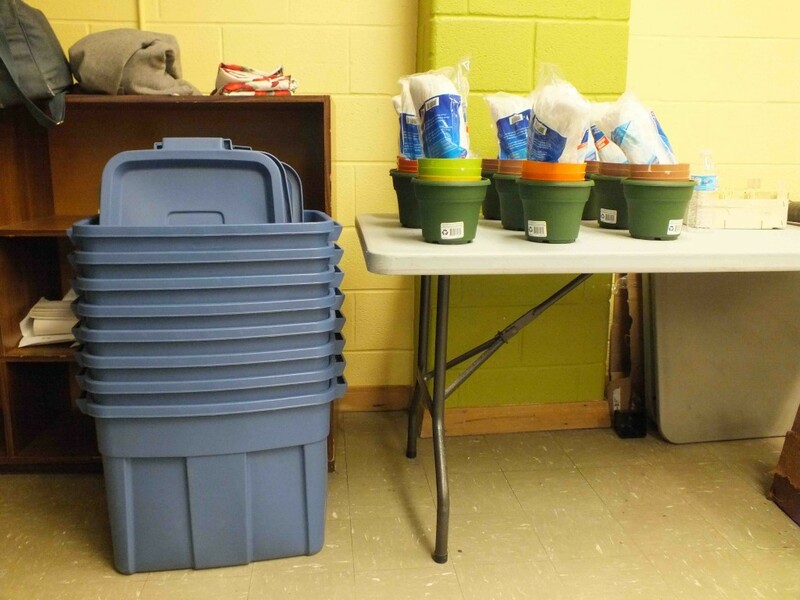 At the end, everyone had their own self-watering container to take home – complete with potting soil and compost (i.e. plant food). I’m sure many of the participants will be busy planting their seeds and getting their container gardens set up this weekend. 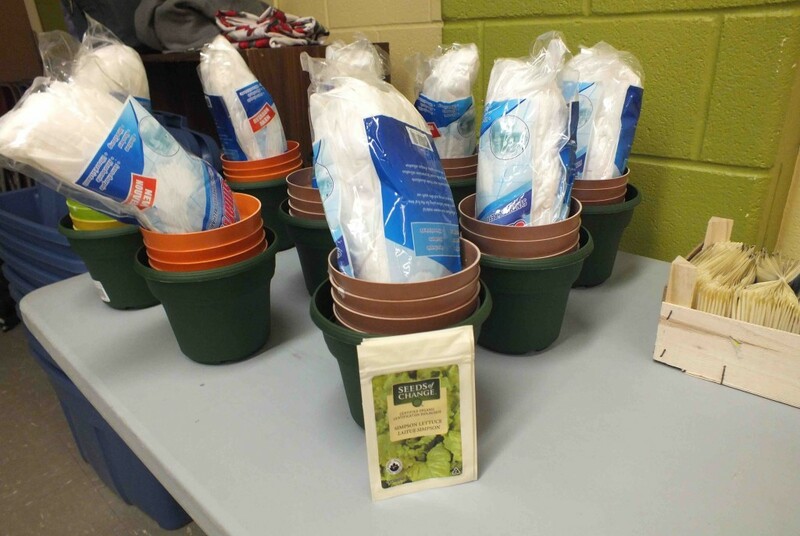 Container gardening is one of the many gardening workshops that FoodShare hosts and is also part of their Introduction to Organic Growing- FoodShare Certificate. 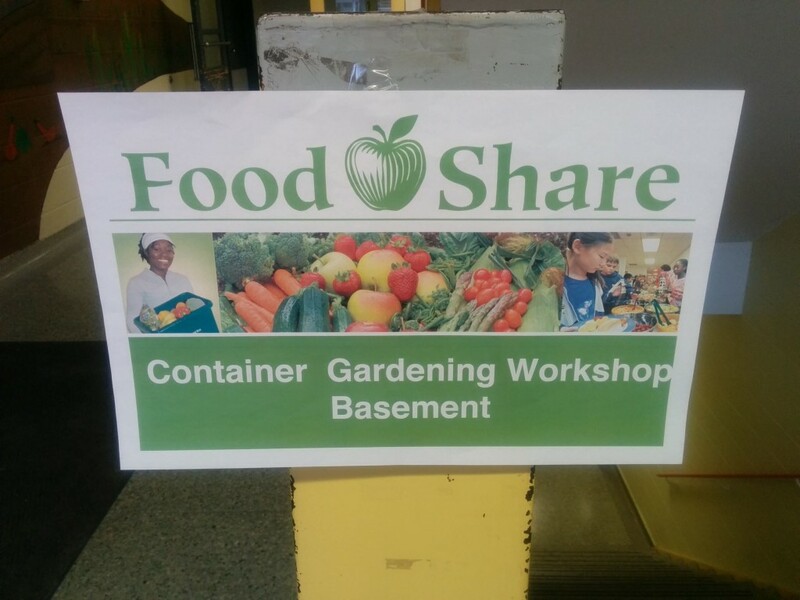 For more information and to sign up for future workshops, visit the FoodShare events page. Do you have a container garden? What are some tips and resources that helped you get started?